Every client receives a 3-D generated pool design before we begin. These incredibly realistic renderings allow you to see all the elements of your pool design as they integrate to your home and backyard. This next stage is the first in the construction of your pool. Here, our pool builder will take the dimensions of the pool design & engineering drawings,and lay it out onto the proposed site area. Once the layout stage is complete we then proceed on to the process of excavating the shape. Before the gunite process, we install all the plumbing and electrical components. We ensure that the plumbing is tested and the electrical meets the necessary city and state codes. A large team of experienced personnel apply the gunite using high pressure hoses to create the tough inner shell of your new pool. Pool construction and design has a wonderful selection available of natural stone tile, slates, ceramics, and mosaics. The pool coping can be crafted from natural stone, including limestone, brick, cement, or an assortment of other material. Our masonry and stone team has a tremendous amount of pride in their craft. Our superintendents take great measure to monitor quality control during the installation process to ensure that the work that is done is flawless and built to last. Applying the plaster is a complex process yet we make it look easy. Plaster is blown onto the gunite and requires a quick, experienced and hard working crew to smooth the surface to assure a beautiful finish. The pool is then immediately filled with water. The next 7 days requires the homeowners to thoroughly “brush” the pool twice a day to ensure the smoothest surface possible. 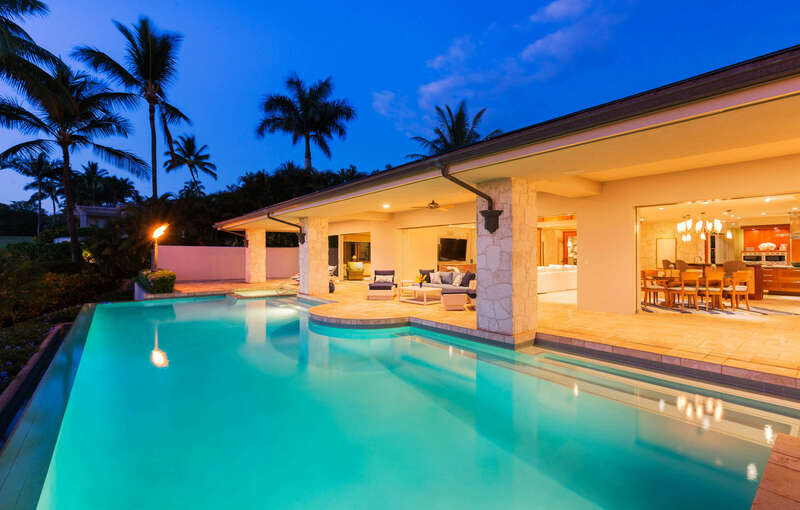 We provide every homeowner with the necessary training on the Swimming Pool Construction Process and how to use the controls of the pool equipment. In addition, our service dept. is available to answer any questions you have regarding the care of your pool and equipment.